Okay, okay, so why so great? Why so necessary? The first volume – A Death in the Family – opens with a meditation on death. On how in our particular moment we claim to have “understood” all of the world and all of humanity by virtue of Science and Knowledge and Inquiry. With the exception of death. And we abhor, deny and are afraid of death because of its resistance to our insistence on knowing and understanding. What follows this opening salvo (in the Epic Battle of Literary Genius) is the at once richly detailed, mundane and yet utterly exhilarating autobiographical journey through Knausgaard’s experience of his father’s death. It is the artist’s attempt to take this unknowable experience that surrounds and informs each of our lives – death – and both make it known by way of its waves and reverberance, and to refuse its knowing by showing again and again in remorseless detail the incapacity of any of us to know and the audacity to try. In its effort reminding us that much as capital-S Science has to offer us, we require, we need, art to help us make these – albeit incomplete, frustrated, and audacious – attempts to understand. Audacity seems like a good word for this book (if you can get past the echoes of Audacity of Hope). Its form a sort of meandering recollection of childhood that poses scenes as factual memories, even while the reader must question whether Kanusgaard can “really” recall turning the shower head in a particular direction when he took a shower at fifteen (or whether such distinctions between memory, real, factual and story matter that much). 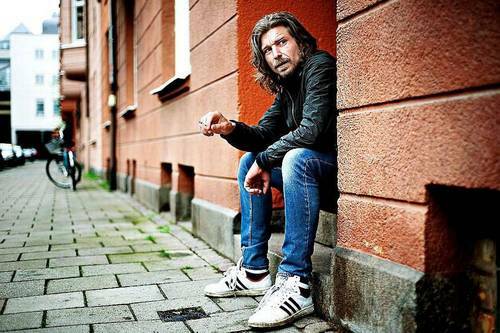 The presentation of the work as true story is its own kind of audacity as the story shared – the death of his father – as the reader must question her right to witness these intimate moments, to question the ethics of Knausgaard making these scenes public. Its audacious in what it expects of the reader. It expects that you will not only want to dedicate hours to immersing yourself in the quotidian, the focused, the realist and detailed, but that you will relish these hours. That you will escape into this book in the way you do a ‘beach read thriller’ but with the thrill of recognizing humanity, of encountering yourself in the story of the other (I know, I know, that makes it sound as tempting as reading poetry (! ), but trust me, it’s a binge-consuming experience that rivals anything The Wire or Breaking Bad has to offer). So go on, stop reading this and start reading My Struggle (how’s that for an audacious title? ).